"The idea is simple: Whoever knocks the most blocks off wins. The catch: You can’t topple it over. " We once played a game this big. 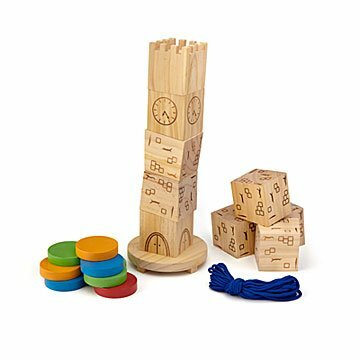 If your competition skills are legendary, this oversized tower encourages play time away from screens— and also knocking stuff over, which is really fun. The idea is simple: Whoever knocks the most blocks off wins. The catch: You can't topple it over. Good luck, and may the balance be with you. Made from pine in China.